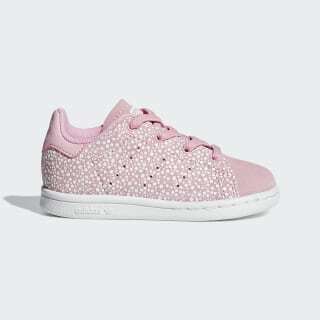 Little ones can shine bright in these streamlined Stan Smith sneakers. 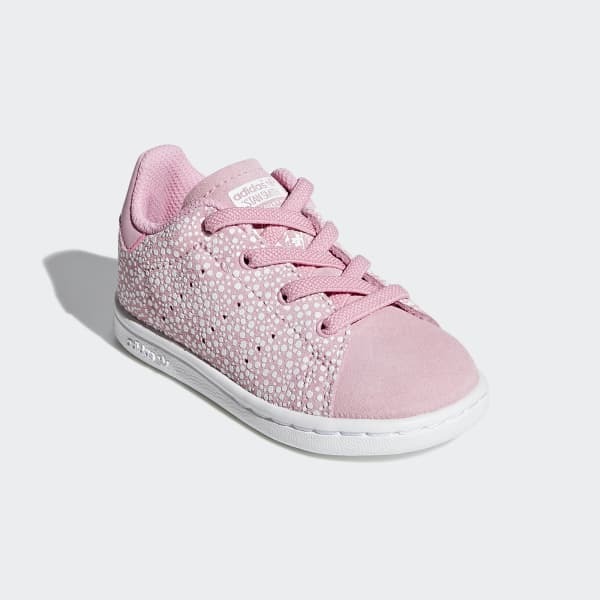 The infants' shoes capture the classic style of the original with a low-profile cupsole and perforated 3-Stripes. The soft suede upper has a dot print that glows in the dark. Elastic laces make them easy to put on and take off.